Stress. It is something that has been invading my life a lot in recent weeks. 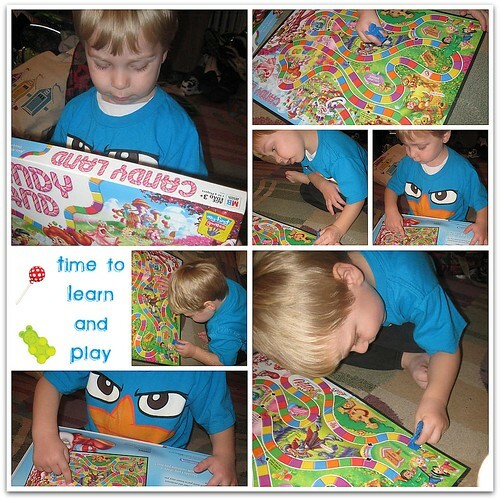 Rather than talk about it today, I am off to enjoy a day playing Candy Land and running in the sun with my little guy. I know that is very vague, but a snap shot of several big items that have constantly been on my mind. Once again, I fully admit that being an adult is very, very, very overrated. As I head off, I must remind myself of one very important item. I am not failing as a parent. The system is failing most children. I am the best advocate for my children and will never give up in my fight for their rights. I think you put it perfectly! YOU are not the failure here! Sadly, #3 is even more so a reality for children with special needs. I have one that is both lol, I see it all the time! Keep your chin up, you are doing awesome! And, like I said, if you ever need ANYTHING let me know! Ramblings Of A Stay At Home Mom´s last blog post ..Coats For Kids! Enjoy your day! It’s hard sometimes though. You need to teach me how to do these collages of yours…I love them…perfect for reviews! !